Five years ago we reviewed an award-winning book entitled The Emperor of All Maladies: A Biography of Cancer in which Siddhartha Mukherjee told the stories of Imhotep, Hippocrates and Herodotus. The Egyptian Imhotep, thought to be the first physician and engineer in history, described the earliest case of breast cancer dating to 2500 BC. This begs the question: How old is cancer? It is often viewed as a modern disease, its spread having been driven by our lifestyles, the toxins in the air we breathe and our poor diet. Two articles published recently in the South African Journal of Science by researchers from Wits University in Johannesburg reveal that the origins of human cancer may be found almost 2 million years ago. Located in caves in the Cradle of Humankind, the research team discovered the fossils of two ancient hominins – our human ancestors – in which the earliest benign cancer and the earliest malignant tumour were diagnosed. 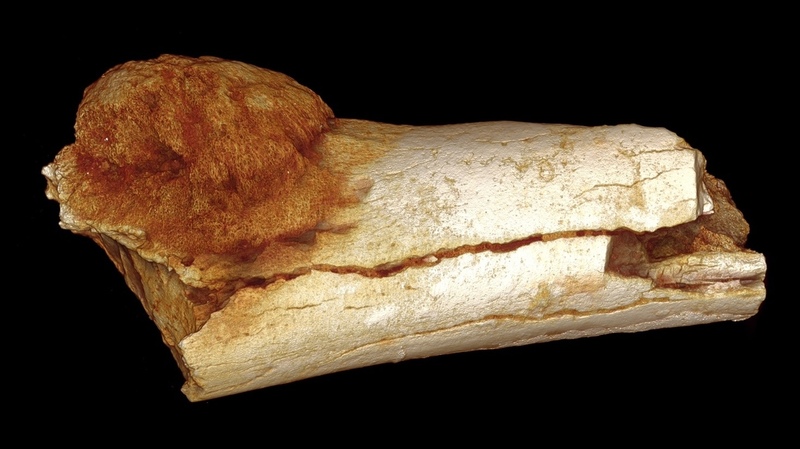 This was made possible by combining the work of scientists who concentrate on the morphology of fossil bones with the skills of medical doctors who specialise in diagnosing disease in living humans. Writing in The Conversation, Randolph-Quinney and Odes commented: “These discoveries were made possible by state-of-the-art 3D imaging techniques. 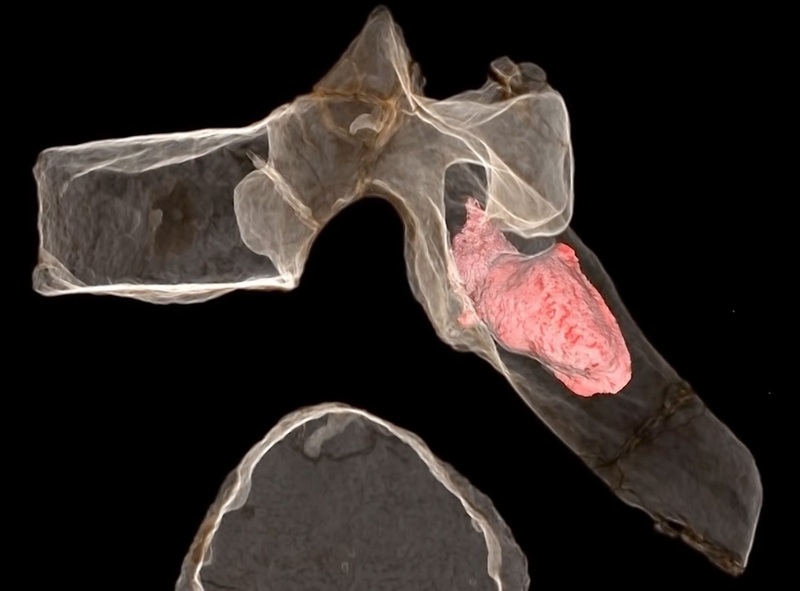 We used micro-focus X-ray computed tomography, or micro-CT imaging.” They also employed phase-contrast X-ray synchrotron microtomography to generate 3D images of fossils without damaging them, and produced exquisite and extremely high resolution images. An osteoid osteoma – a benign bone tumour – was found in the sixth thoracic vertebra of Australopithecus sediba, a young male who was developmentally equivalent to a human child of 13 years of age (seen above right, © Wits University). The authors speculated the lesion would have caused some pain and discomfort, limiting the boy’s ability to move and climb, but was unlikely to have led to his death. Wow! And I thought cancerous growths were non-bony growths which would not fossilize, like muscle, breasts, ligaments, cartilage etc ie would degrade with time.